Yes indeed. I have to admit that I’m not the British subject some Royal loyalists would like me to be 🙂 and I am clueless about exactly when the wedding will be held. At the same time, the Rav would not in my estimation have permitted watching a TV news or internet news coverage of part of the ceremony. That’s supposition on my part, but I submit that based on my readings of the Rav, he wouldn’t like us doing anything which brings the Church into the home. He was, as is known, very sensitive about that. I couldn’t help but feel that whilst last night’s stupendous opening of the Embassy was for the most uplifting, the Rav likely would have “had a previous appointment to attend to” on account of the first Pastor. That’s not to say that Pastor didn’t have a right to express his faith, of course! What is a KNESIA = כנסיה? Isn’t it a place where people gather? In Aramaic we call it BETH KNISHTA = house where people gather. A prayer house in Hebrew or Loshon Hakodesh is BETH TFILA = house of prayer. The AGUDAT YISROEL worshiped כנסיות and called their assembling הכנסייה הגדולה. “אמר להן: כך מקובלני מבית אבי אבא: לעולם ישכיר עצמו לעבודה זרה ואל יצטרך לבריות.” (בבא בתרא קי, א). I know that it frightened our elders and they tried to find ways to interpret the meanings, but if we look at RASHI there: “ישכיר עצמו וכו’ אלא שלא יהיה לבו לע”ז.”. Does the Talmud here refer only to finding employment that one can do it and not to fall as a burden on the community = תבא לידי צורך הבריות =? Thank you R’ Meir. LeHalacha there are Kulos in certain instances. 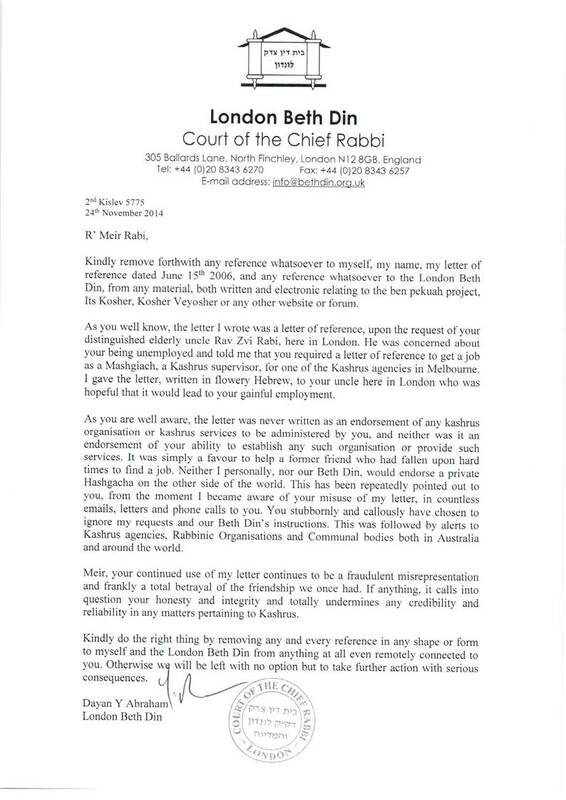 For example, the Chief Rabbi of the British Commenwealth I believe was issued with a Kula presumably to avoid Ayvo. I haven’t looked in Hilchos Avoda Zara, but is that Memra in the Gemora brought LeHalacha?